With 30 years' experience in adhesion and sealing technology, ADERIS™ develops and produces an innovative range of structural adhesives designed for the transport, construction, building and sport and leisure sectors. Aderis' experience and the proven track record of their methacrylates technologies play a key role in the success of Aderis' clients projects. 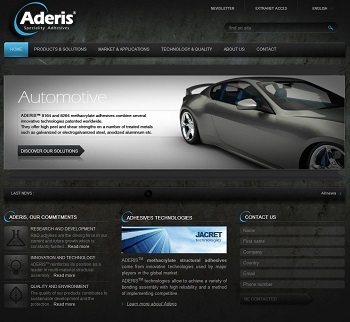 To keep pace with customer requirements, Aderis continuously develop technologies and implement new solutions.